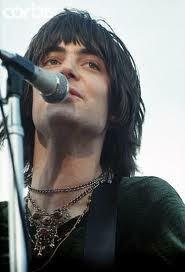 Terry Reid is the man who turned down the chance to be lead singer with Led Zeppelin. A friend of Jimmy Page he was asked by Page to join his new group The New Yardbirds, instead he recommended another singer he knew Robert Plant from a midlands group called Band of Joy and he also recommended drummer John Bonham. 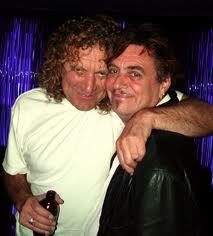 Jimmy Page hired them both and Led Zeppelin was born. 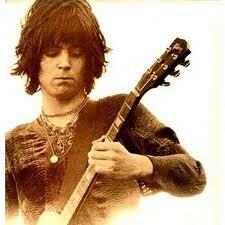 But what is the story of Terry Reid. Terry started in music early at the age of 15 as the singer for Peter Jay & the Jaywalkers before going solo. In 1968 Terry was a guitarist and singer of his own three~piece power band and was signed to record producer Mickie Most who had worked with The Animals, Donovan, Jeff Beck amongst others and had a contract with EMI Records to release his records. At this stage Terry was more well~known in the US than in England having had his debut album ‘Bang Bang Your Terry Reid’ released over there. At the time of being asked to join Zeppelin he was about to have his new album ‘Superlungs’ released in both England and the US plus a support slot on the up and coming Cream tour of the States so the future looked bright for this 20~year~old kid! and one listen to the album ‘Superlungs’ and you know why Jimmy Page wanted him in his new band. I saw Terry play in London in 1969 on the release of this album and he was one of the best live acts I have ever seen and still remains one of my all time favourites. Great Great voice ! His range and power can be heard on tracks ‘Speak Now or Forever Hold Your Peace’ and ‘Rich Kid Blues’ and the album ‘Superlungs’ is a lost gem! There are some clips of Terry on YouTube for you to see. Terry also toured with the Rolling Stones on the 1969 US tour and appeared at the Isle of Wight festival in England in 1970. Both of these albums failed to sell in any quantities and frustrated with the Mickie Most contract situation the producer wouldn’t let him out of his contract for three years, so Terry decided to move to Los Angeles USA and finally released his next record on Atlantic Records in 1973 called ‘River’ which received little fanfare on either shores. This album has a very west coast laid back acoustic performance and is beautiful. I saw Terry again in the early 70’s at the Marquee Club in London and the crowd wouldn’t let him off the stage and he was happy to play well past midnight that night. Little was heard of him until 1976 with the release of ‘Seed of Memory’ my favourite Terry Reid album which was produced by ex~ Hollie Graham Nash and features David Lindley on guitar and is great from start to finish and has Terry in fine voice. The album did chart briefly in the USA and was released on yet another label ABC Records, but unfortunately the label went out of business just after release of the album, so no tour or promotional. Shame ~ because this should have been the album for him with a mixture of rock and blue ~ eyed soul. Fast forward to 1979 and another new album ‘Rogue Waves’ on yet another record label Capitol Records but everything seemed right this time with Terry looking like a rock god on the cover but enter punk and disco and some over the top production on the record and it very quickly ended up in the record store delete bins, but the record does hold some magic moments like the opening track ‘Ain’t No Shadow’ which shines brightly! 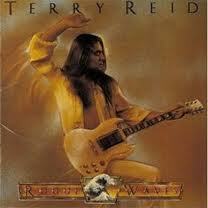 No more was heard of Terry Reid during the 80’s. I did try and track Terry down in the early 80’s while I was working at Polydor Records in London but ending up speaking to his Dad a couple of times and that was as far as I got. In the early 90’s he showed up on the soundtrack of the Tom Cruise film ‘Days of Thunder’ with a scorching version of the Spencer Davis classic ‘Gimme Some Lovin’ and this was followed by a new album on Warners called ‘The Driver’ which is a bit hit and miss but does have a great version of the Waterboys gem ‘The Whole of the Moon’. If you like your singers in the Paul Rodgers, Stevie Winwood, Stevie Marriott range then Terry Reid will be a real treat for you and he still can be found playing live around the world today. Who Knows ! Maybe Jimmy Page will link up with him one day or pay him a finders fee for Robert Plant or maybe Jack White will record him~ he is also a big Terry Reid fan. This entry was posted on Wednesday, February 15th, 2012 at 3:29 pm and is filed under British 60's LP's, British Blues Boom, British Rock, British Vocalists. You can follow any responses to this entry through the RSS 2.0 feed. You can leave a response, or trackback from your own site. We saw Terry back in the day and in NYC in 2015 (got to meet him). A favorite for sure, Page needs to do “Original Zeppelin” NOW with Reid. Mickie Most also produced the Yardbirds with Jimmy Page. That lineup did Dazed & Confused, Think About It (sort of a prototype for Dazed), White Summer (sort of a prototype for Black Mountainside), How Many More Times (as jam section in Howlin’ Wolf’s Smokestack Lightning), Tangerine (now, Knowing That I’m Losing You then); they also did Spoonful (pre-Cream). Don’t know Little Games? Dig it!